The Japanese sword’s main material is the tamahagane (steel made from iron or black sand). 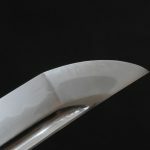 As it is forged repeatedly, there are cases where impurities are not completely removed or small mistakes during the forging and tempering process can cause kizu (flaws) in the sword. This kizu may cause problems during actual use and for authentication. Recently the sword is valued more as an artwork for appreciation rather than its actual use. There are also types of kizu that are actually appreciated. 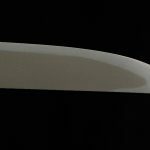 When a crack appears in the tempered edge and extends to the blade it is called “hagire”. When that hagire is at the sword point it is called “karasu-guchi”(a crow’s beak). Practically, it is quite detrimental in using the sword, but it is not considered to be so bad for swords that are for display. The cracks that appear along the forged surface are called “hagarami”. If this appears near to the sword point it is called “mikazuki” (crescent moon). This can appear on both sides or just one side of the sword. It is a defect, but Japanese have long called it “tsukinowa” (ring of the moon) which shows the aesthetic sense of the Japanese people from old times. 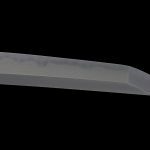 If you look at the sword carefully, you can see some lines on the base, the blade and the ridge. These are called “shinae”. When may of these lines and formed together they are called “mukade-shinae” (centipede shinae). When it has changed color and looks like the color of smoke, it is called “moe-shinae”. In both cases. 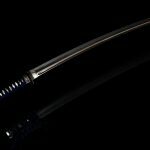 a sword that that has a shinae is vulnerable to becoming bent when receiveing attacks, and it also cheapens the sword’s aesthetic value. This tear can appear when the wielding is insufficient during the repeated forging. 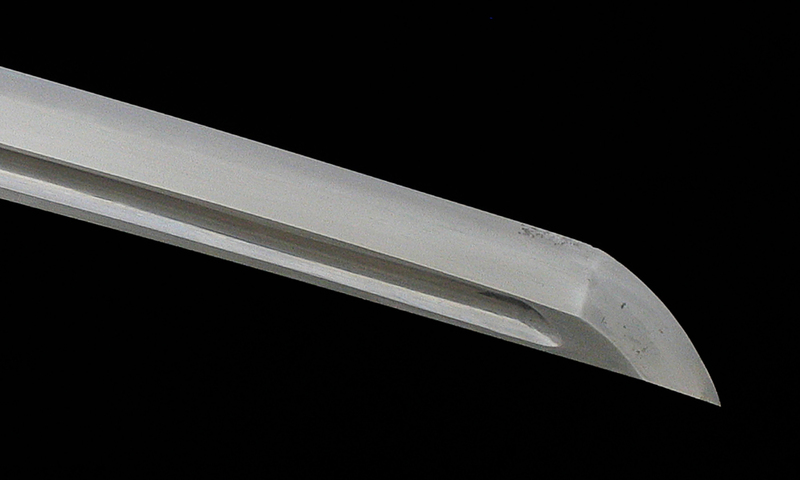 This is called “kitae-ware” and can appear on the blade, the base, and the ridge. Usually it appears as a hard break, so unless it is rather big it does not impede its practical use. 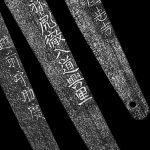 For straight-grain swords or strong swords with straight-grain mix, these are called “masa-ware” and are not considered as defects. In the Hankei swords it is even scene as a trait. When the wielding is insufficient during the repeated forging, air bubbles can get in. It appears swollen at about the size of a bean. This is called “fukure” and when the fukure breaks during the sharpening it is called “fukure-yabure”. This exposes the rusted iron inside the fukure, which is disliked and would depreciate the sword’s value. It does really cause much trouble in practical use, but since its appearance is not very desirable, it is often filled with inserts. 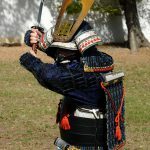 The shingane (inner iron) appears when the sword is sharpened and the outer iron is lost, but often when an underskilled smith makes the sword or when it is mass-produced, you get swords where the shingane is exposed from the beginning. These swords are treated as poor quality products. But the Rai school swords often have ones where shingane appears around the blade. This is because the shingane is placed in a bend and not in a straight line, so it gets exposed when the outer iron is sharpened. In this case the other side is kept neat, and this is called “Rai-jigane” and is considered a trait of the Rai school. Around the blade, base, or the ridge, there is a small hole as though it was made by a drill. This is formed by the oxidated iron from the outer layer falling off during the refining process, and this is mixed with the outer iron in the forging. The bare metal gets through the out layer metal. This is called “uchikomi” and has no impediment in practical use, but loses aesthetic quality. The marks that appear from cutting down arrows are called “ya-kizu” and those that appear from clashing against opponent swords are called “kirikomi-kizu”. They are flaws, but are not considered defects. They are in fact appreciated. Some kirikomi-kizu includes ones where the blade of the opponent sword has fallen off and become stuck in the sword. These flaws tell the story of that sword coming through tough battles. Having no other damages despite such a history of battle shows how strong the sword is, and this was appreciated hugely by the samurai. Like yakizu and kirikomikizu, these are incurred during battle when the impact causes the blade to be chipped. But this depreciates the value of the sword greatly due to the impediment on both its practical use and aesthetic quality.